Lance Naik Shanghara Singh was born on 14th January 1943 to Shri Ranga Singh and Smt Dhan Kaur in Chola Sahib village of Amritsar district in Punjab. 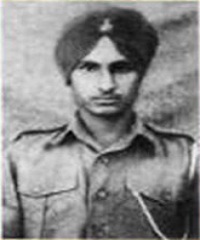 Lance Naik Shanghara Singh joined the Army at the age of 20 years on 14th January 1963. He was enrolled into 2 Sikh battalion of the Sikh Regiment, a regiment well known for its gallant soldiers and various battle honours. 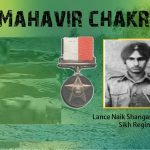 By 1971, Lance Naik Shanghara Singh had served for about eight years in the Army and had grown into a disciplined and committed soldier. In the last month of 1971, India had to go to war with Pakistan as genocide in the eastern side of erstwhile Pakistan had posed an unprecedented problem of influx of millions of refugees. India had to fight with Pakistan at its northwestern as well as eastern border which finally resulted in the creation of a new country Bangladesh. Though the war ended on 16 Dec 1971 on the eastern front with Pakistani forces surrendering to Indian Army, the skirmishes continued on the western front. During the war Lance Naik Shanghara Singh’s unit was deployed in Amritsar sector on the western front. The Pakistani forces during the war attacked and captured the Indian village Pul Kanjri located on a high ground close to the International Border. Indian forces led by 2 Sikh battalion decided to recapture the village but the attack could not be launched before 17 Dec 1971. On 17th December 1971, during the attack of Pul Kanjri, when the enemy position were surrounded by anti-personal anti tank mines and number of Machine guns, Lance Naik Shanghara Singh along with his unit came under heavy enemy fire. He was in second of command of the left flanking section which had got pinned down by continuous fire from these machine guns. Lance Naik Shanghara Singh realized that the enemy machine guns were posing great threat to his comrades and had to be neutralized somehow to continue the advance towards the assigned objective. In complete disregard for his personal safety, Lance Naik Shanghara Singh decided to attack the posts manning the machine guns. He made a charge through the minefield towards the first machine post and hurled a grenade inside the bunker successfully. Then he charged the second machine gun post by crawling over the loophole and snatched the machine gun physically by his hand. This daring move by Lance Naik Shanghara Singh was enough to upset the enemy forces who panicked and fled the battle scene leaving behind the machine guns. However during this process Lance Naik Shanghara Singh received a burst of fire in his abdomen and got seriously injured. The elimination of these machine guns enabled our troops to over- run the enemy post and move towards the objective. Lance Naik Shanghara Singh later succumbed to his injuries and was martyred. He displayed exemplary dedication to duty in the face of the enemy and made the supreme sacrifice in the highest traditions of the Army. For his raw courage, indomitable spirit and sacrifice, Lance Naik Shanghara Singh was given the nation’s second highest gallantry award “Maha Vir Chakra”. On 17th December 1971, during the attack on ‘Pul Kanjri’ a strong enemy position surrounded by anti-personnel and anti-tank mine and supported by a number of Machine Guns, his platoon came under very heavy ground and Artillery fire, particularly from two Machine Guns on the left flank. Lance Naik Shanghara Singh was second-in –command of the left-flanking section which got pinned down by continuous fire from these Machine Guns. In utter disregard to personal safety. 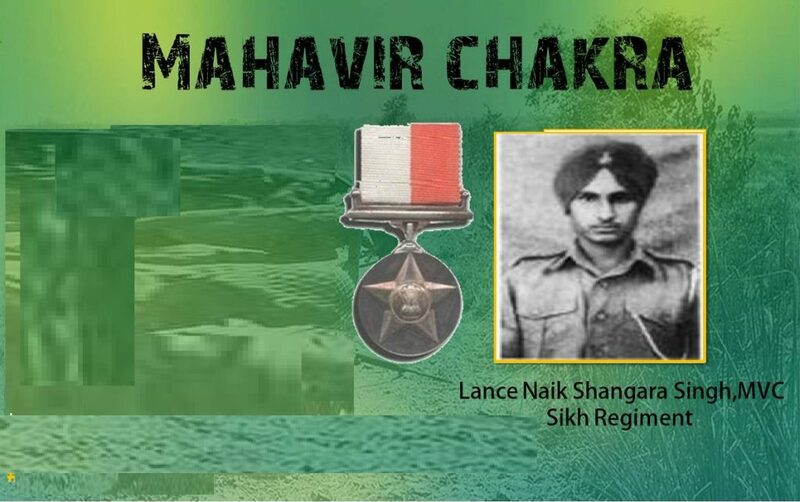 Lance Naik Shanghara Singh made a dash through the mine field towards the Machine Gun post and hurled a grenade inside the bunker successfully silencing the gun. Then he charged to the second Machine gun post, crept over the loop-hole and succeeded in physically snatching the Gun. In doing so, he received a burst of fire in his abdomen, but undeterred he continued to hold the Machine Gun. The enemy was completely unnerved and fled from the bunker leaving the Machine Gun in Lance Naik Shanghara Singh’s hands. Elimination of these Machine Guns enabled our troops to overrun the enemy post, but Lance Naik Shanghara Singh succumbed to his injuries. In this heroic action, Lance Naik Shanghara Singh displayed conspicuous gallantry and exemplary dedication to duty in the face of the enemy and made the supreme sacrifice in the highest tradition of the Army.